Robert Keeney Lassiter, 87, of Greenbrier, passed away at his home, Monday, January 8, 2018. Born in Goodlettsville, April 9, 1930, Robert was the son of the late William McKinley and Katie Ruth (Templeton) Lassiter. In addition to his parents he was preceded in death by his first wife of over 40 years, Virginia (Hudgins) Lassiter; his second wife, Helene (Smith) Lassiter; and nine siblings, Isabel, Leroy, Randall, Willie, Jean, Vivian, Joann, Peggy and Tony. Robert lived most of his life in Robertson County and spent most of his life as a farmer. A devoted family man and loving father, grandfather and great-grandfather, he loved to spend time with his grandchildren. In his free time he enjoyed going to his cabin and fishing. A Christian man, he was a member of Luton’s Methodist Church. 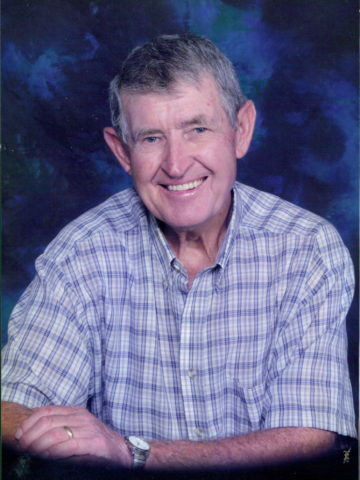 Robert is survived by his four children, Keeney Lassiter, Susie Baker and her husband Jeff, Sally Duke and her husband Terry, and Jimmy Lassiter; seven grandchildren, Mac Lassiter and his wife Candace, Kirk Lassiter, J.R. Baker and his wife Mitzi, Matthew Baker and his wife Angel, Alex Duke and his wife Katie, Chris Duke and Brian Duke; eight great-grandchildren, Logan Lassiter, Campbell Lassiter, Calla Baker, Constance Baker, Mallory Baker, Emile Baker, Avery Baker and Camden Duke and another great-grandson on the way; and his sister, Dora Ferguson. The family wishes to give special thanks to his sister-in-law, Alice Cole and his caregivers. Visitation for Robert will be held at Cole & Garrett Funeral Home, Wednesday, January 10th from 4 – 8 PM and on Thursday from 11 AM – 1 PM. A life Celebration Service will be held Thursday at 1 PM followed by burial at Lutons Chapel Cemetery with Pastor Jon Briggs officiating and grandsons serving as pallbearers. Sending condolences to TERRY & SALLY DUKE during this time of great loss of Sally’s father. My condolences to the family of Robert Lassiter. I know he will be greatly missed. So sorry to learn of his passing. Mr Lassiter was always a true neighbor. It’s difficult at such a time to know what words to say, know that understanding thoughts and prayers are with you through you loss.